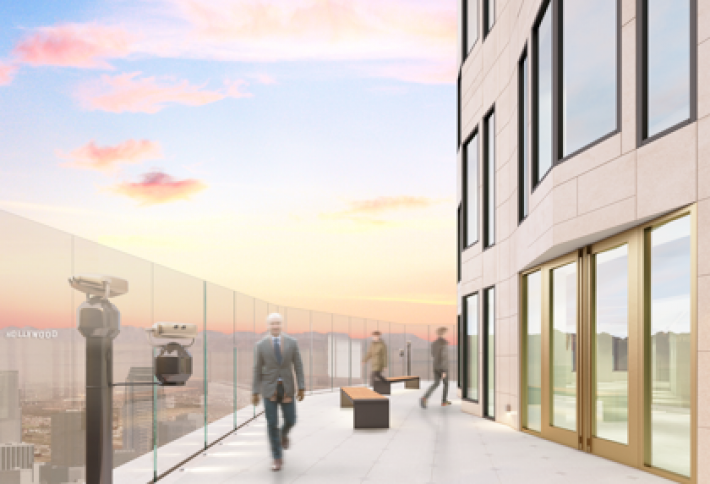 Part of a $50M rehab will add the highest observation deck in California, OUE SkySpace, to the tower—the tallest building west of the Mississippi. At 1,018 feet, the rooftop observatory offers unobstructed, 360-degree views of the city and mountains beyond. The tower is one of LA's priciest buildings. 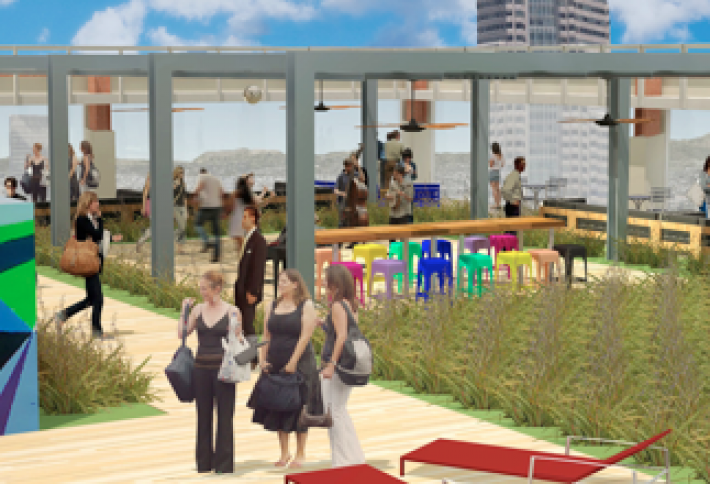 Located at The BLOC in Downtown LA’s Financial District, the rooftop terrace and garden at the massive project from Ratovich Co offers workers a break from the confines of an office. Employees can take their laptops or meetings outside, and the environment is enhanced by the aroma of fresh, organic herbs and vegetables grown by the many chefs at The BLOC’s 400k SF retail destination The Space. A lushly landscaped park and full complement of amenities grace the rooftop at the W Hollywood & Residences. Downtown LA also will be welcoming a W Hotel as part of a $700M project from Chinese developer Shenzhen Hazens. 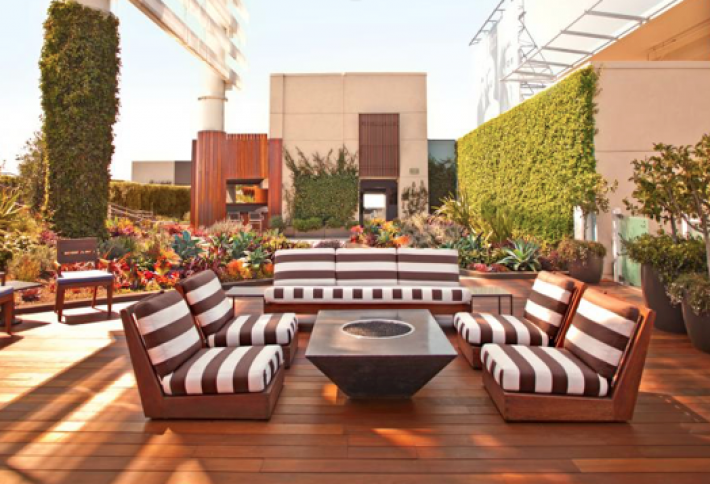 Snazzy rooftop amenities include a fireplace and fire pits; gourmet kitchen and dining area; and a fully equipped fitness center that offers yoga and Pilates classes. 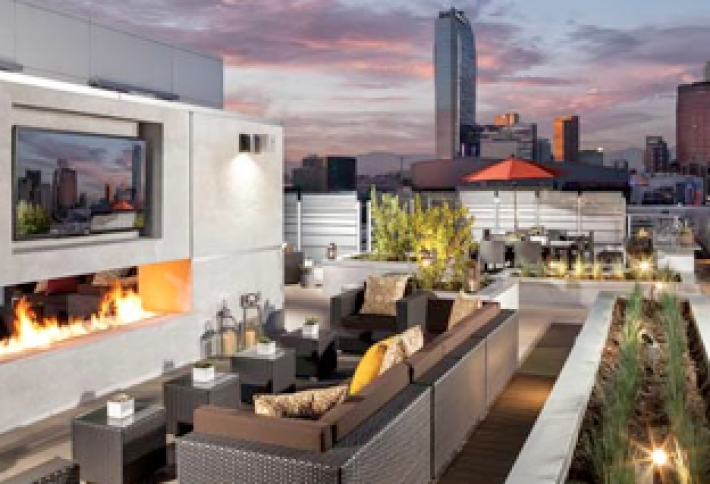 Still one of LA's hottest nightlife spots, the rooftop bar offers sweeping views of Downtown LA’s skyline and resort-style amenities, including a Biergarten that offers a garden setting and serves up a variety of imported beers and tasty German classics prepared by an Austrian chef. 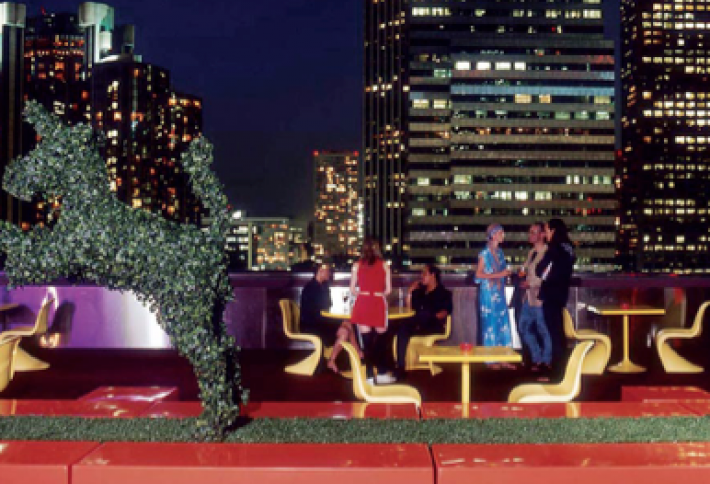 Other rooftop amenities include an award-winning pool and bar; waterbed pods; and a sculptured topiary garden. Offerings at the South Park project include an outdoor lounge with seating around a 70-inch TV with built-in fireplace and surround sound; a sundeck; and a USB charging station and iPod dock stations. Chicago-based developers Steve Fifield and Randy Fifield (partner/wife) is working on four more projects in the greater downtown market and plans to paint CrossFit symbols on the roof to assist residents with their workouts. Oct 8 DogVacay on TechCrunch Cribs!